Rose-Hulman ranks among the country's highest value-added higher education institutions, according to a new study by the Brookings Metropolitan Policy Program. Its report, "Beyond College Rankings: A Value-Added Approach to Assessing Two and Four-Year Schools," assesses how well colleges affect student post-graduation economic success. 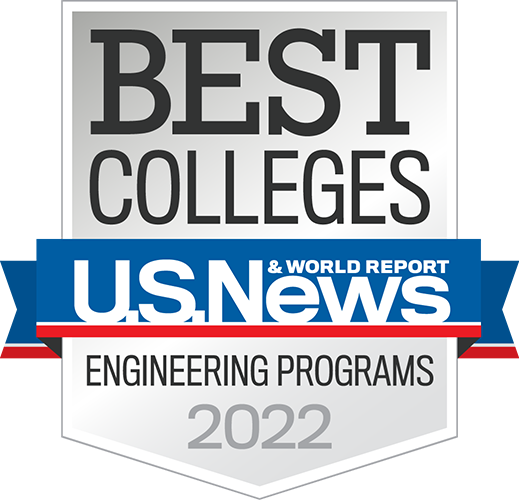 Rose-Hulman was recognized for alumni mid-career earnings, among institutions such as California Institute of Technology, Stanford University, and Massachusetts Institute of Technology. Value added was calculated by comparing predicted earnings versus actual earnings. Rose-Hulman graduates average 44 percent value added, with mid-career earnings at $114,100 compared to a predicted average salary of $73,628. According to the report, some of the value added can be attributed to Rose-Hulman's focus in the areas of science, technology, engineering and mathematics (STEM). Other considerations include graduation and retention rates and financial aid. But the report also notes that unobservable "x-factors" such as teaching quality and student ambition may also contribute to the future success of graduates. "We nurture innovation and an entrepreneurial mindset, give students a solid academic foundation from which to grow, and infuse ethics and sustainability throughout the curriculum," says President Jim Conwell. "Our graduates earn high salaries because they are well-rounded, ethically grounded, and focused on solving problems in order to improve lives." Conwell noted that Rose-Hulman graduates are able to grasp the big picture and understand its relevance to even the smallest task. They are equipped to work in an interdisciplinary setting, utilizing teamwork and collaboration to develop solutions. These are the factors that make the institute's alumni distinctive, highly sought, and ensure them economic success. "This is an affirmation of our mission statement, which is to provide our students with the world's best undergraduate science, engineering, and mathematics education in an environment of individual attention and support," adds Conwell. "The report is about more than high salaries; it's about opportunities. What we do every day is prepare students holistically to take advantage of opportunities that present themselves." 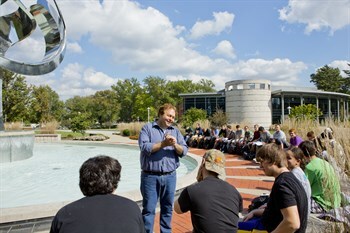 Rose-Hulman was used as an example of a value-added college in a summary of the Brookings Institution findings.